When you arrive in Lisbon and look at the map, everything looks small, close together and easy to visit by foot. But once you start walking, you likely find yourself going up and down hills and streets in the middle of a very warm day… how could you possibly miss the fact that Lisbon has 7 hills (yes, like Rome)! 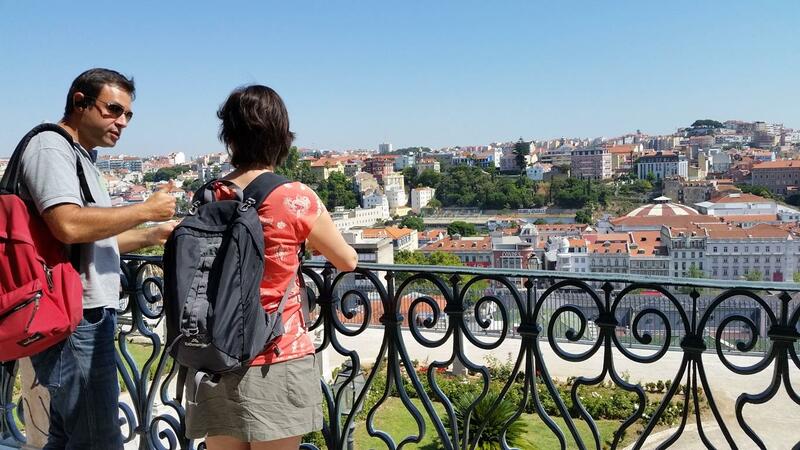 In short, visiting Lisbon by foot requires a good level of fitness to walk to all those famous lookouts, plazas and palaces. Alternatively, take the Eco Tuk Tour Lisbon and visit the city center with your personal guide – much more relaxed, faster and fairly eco-friendly. Visiting Lisbon on an Eco Tuk Tour is an unforgettable experience that we recommend to anyone. We will never forget the roads and traffic in Lisbon’s CBD, part of an endless flow of commuters. Lisbon’s historic, bumpy roads are a unique characteristic of the city and it requires a skilled driver to avoid the many holes in the cobblestone pavement. We chose Eco Tuk Tours for its eco-friendliness (100% electric energy), personalized service and because less noise and smell means that this is a much healthier and more comfortable experience. Joao, our Eco Tuk Tour guide, explains us very well how Lisboa is structured, and which are the main highlights and sightseeing points. We learn about Lisboa’s – sometimes tragic – history, but also its present situation, for instance, how the city has been affected by the 2010 economic crisis. Our guide Joao was great. 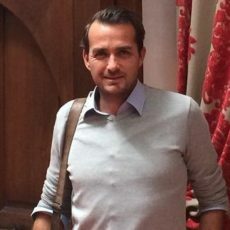 Experienced, relaxed and approachable, he had answers to even the most tricky of our questions. We highly recommend him. Because Lisboa can be very warm, choosing the Eco Tuk Tour allowed us to enjoy the city without getting completely hot and sweaty. Air comes through all the time, which is highly appreciated when at 29 degrees Celsius or above. 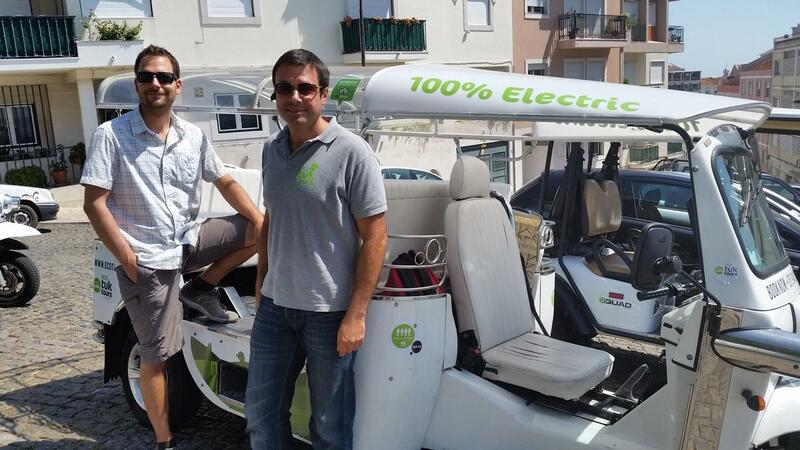 Another plus: The Eco Tuk Tour in Lisbon picks you up at your hotel accommodation, so it is very convenient. As we finished our tour at 1pm, we asked Joao to drop us at his favourite inner city restaurant for lunch. A pity this precise restaurant was closed because it was Monday! A 2 hour ride with a private guide costs 90 Euros. 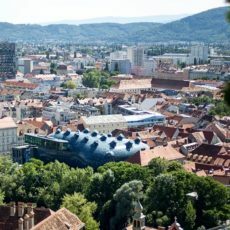 We consider this to be a fair price, as 22.5 Euros per person (we were 2 people) – per hour and including a personalized guide is more than reasonable. Joao’s English was superb and easy to understand. 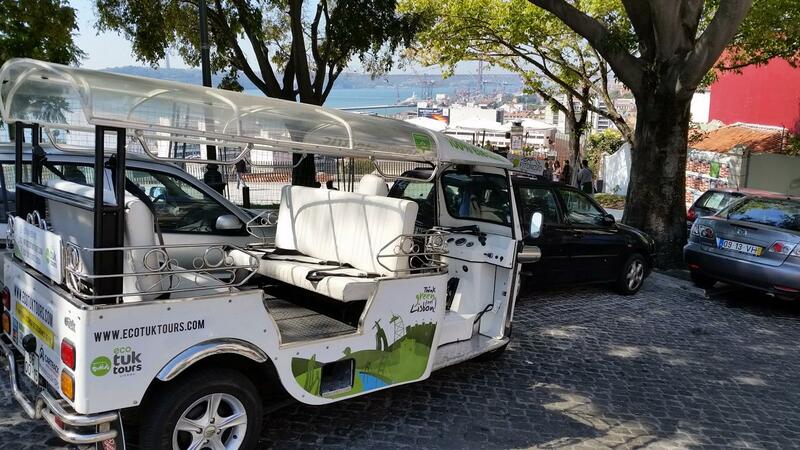 Choose Eco Tuk Tour Lisbon if you feel like cruising up the hill, while passing hundreds of tourists on the sidewalks or in over-floating trams. If you aren’t much of a walker anyway or don’t like cobblestones, then this is your chance to explore Lisbon’s seven hills (well, some of them anyway) in a comfortable and environmentally sensible manner. 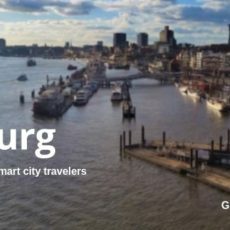 Avoid doing any kind of road tour in Lisbon on Fridays. Fridays are the worst day of the week to drive in Portugal’s capital, as everyone living in the suburbs brings their cars in so they can leave as fast as possible after work to enjoy the weekend. And: Avoid tours with non-electric Tuk Tuks. They are very noisy. Liked our review of Eco Tuk Tour through Lisbon, Portugal? Share and spread the word!